No! 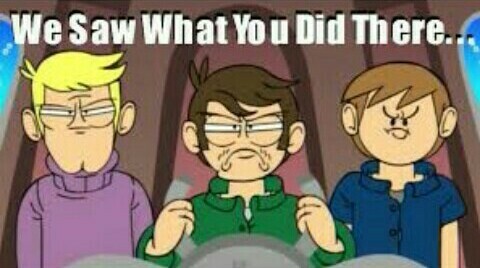 Eddsworld looks like a sh*tty onyesha to me. Tell that to anyone else who believes MLP is better than Eddsworld. I myself enjoy Eddsworld, I had discovered it through Thomas Ridgewell, the famous creator of ASDF movie and fell in love, of course the uhuishaji is not as good as mlp buuuuuut Mlp is still not a good looking show, especially when wewe think of the amount of artists and funds the onyesha has. Eddsworld had a dark humour and liked to put in subtle pop culture references whilst the characters were the creators real life attitude but sometimes set to 11 to make the onyesha zaidi appealing. Whilst MLP had meh animation, meh characters (Like seriously Applebloom has had so many damn episodes yet she has ZERO character, and that is the same for many others) and it just got boring... Plus Pinkie is a thing.... But maybe I'm just biased, since bias does wingu the mind. Also guy below me, Dragon au something, Have wewe ever actually saw it because Edd poured his moyo and soul into making something he loved and in the end he had a massive fanbase, good Marafiki and left his mark on the world even though cancer had took him away. The disrespect wewe showed made me lose zaidi faith in this fandom and makes me glad I no longer classify myself as a "Brony".